Book Riot is a direct, honest, fun and often funny source for knowing what to read and what is new in the world of literature. The content is comprised of humor, reviews, commentary and news on books and reading (written by Book Riot staff, established bloggers, journo types and selected guests in the space) as well as editorials on topics related to literature and the reading experience in the 21st Century. 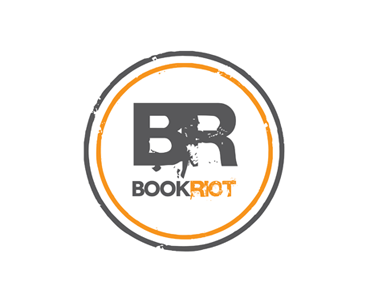 Book Riot addresses new technology in the literary space such as ereading technology and developments in the publishing industry along with what this might mean for the space, in general. All content is vetted for quality. Book Riot consists of a highly educated readership of over 400,000 uniques per month. -An embedded video in the above-the-fold featured content slot with a 20% Share of Voice. -An individual trailer post with links to purchase the sponsoring title. Requirements: Title must be relevant to the Book Riot community for approval. Please submit a the video trailer, book title, short book description, links and any other relevant information. -Friday post rounding up the best bookish lists on the internet. -The sponsoring title/product listed as “sponsor” of the post with links to purchase the sponsoring title/product. -The sponsoring title/product listed as “sponsor” in the social media pushes of the list. Requirements: Title/product must be relevant to the Book Riot community for approval. Please submit enough information on the sponsoring title/product as well as title and links to purchase. -The sponsoring title/product is listed as “sponsor” in every RSS post with the click through URL provided by the sponsor. -Book Riot post announcing the week’s full-text sponsor with synopsis and click through URL provided by the sponsor. Requirements: Title/product must be relevant to the Book Riot community for approval. Please provide book title, synopsis and URL. -Monday post requesting Book Riot community recommend reads around a topic, genre or theme, and a Friday post summarizing the results. -The sponsoring title/product listed as “sponsor” of both posts with links to purchase the sponsoring title/product. -The sponsoring title/product included in Social Media pushes along with the recommendations. Duration: Event is 1 week, remains on Book Riot permanently. Requirements: Title/product must be relevant to the Book Riot community. Please provide title, a short description, the chosen recommendation, and purchase links for approval. -The sponsoring title/product listed as “sponsor” of Name That Author with purchase links to the sponsoring product/title. -Submission confirmation email mentions sponsoring title and links to URL provided by the sponsor. -The sponsoring title/product included in social media pushes as sponsor of the week’s Name That Author. Requirements: Title/product must be relevant to the Book Riot community. Please provide title, a short description and purchase links to the title/product. -The sponsoring title/product listed as “sponsor” of the giveaway with links to purchase the sponsoring title/product. -The sponsoring title/product included in social media pushes as sponsor of the giveaway, including the promoting post. -The sponsoring title/product is given to each finalist. Requirements: Title/product must be relevant to the Book Riot community. Please provide question or theme, title, a short description and purchase link to the title/product. Description: The Book Riot community is asked to submit a themed entry relating to the sponsoring title/product. The Book Riot editorial team chooses the best X entries, notifies the entrants and posts each individually, up to 8 total. Giveaway winner is chosen based upon Facebook “Likes” of the posts. Examples: Example of Finalists Post and Example of Winner Post. Requirements: Title/product must be relevant to the Book Riot community. Please provide title, a short description and purchase link to the title/product. Please note that there are limited spots available for each sponsorship. Contact Advertisers@AdvertiseWithin.com with any questions.